Coverage for all vanity tops lasts from 3 years from the original date of purchase. For more information please call 1-855-216-2292. Heritage Baths rich White Ash granite vanity top will add the finishing touch to your bathroom. The natural beauty of stone coupled with its durable, lasting appeal will bring luxurious style to any vanity. The durable top has a penetrating sealer that protects against stains by blocking pores and small cracks in the stone. A pre-attached, Grade A Vitreous China bowl, matching 4" backsplash and sidesplash are included, along with drillings for an 4" center faucet. The top is finished off with a meticulously cut Ogee edge detail around the sink and across the front for timeless appeal. 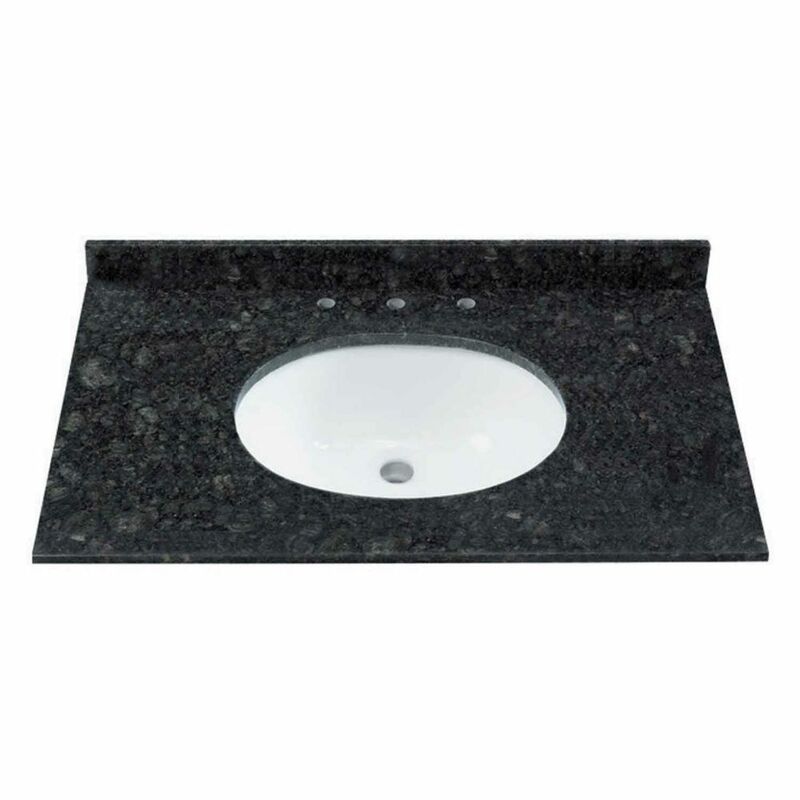 37-inch W Natural Granite Vanity Top in Black/Green The allure of natural granite is that each piece is a unique work of art produced by nature and will add texture and beauty to your bath that can be enjoyed for years to come.